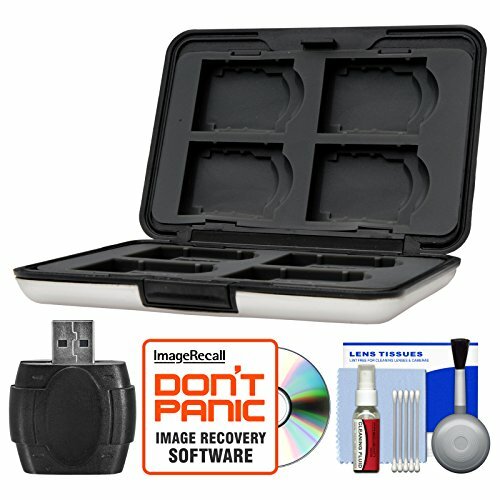 The Power2000 Aluminum Memory Card Protector Case is perfect for storing, organizing and protecting up to 8 SD, MS Duo and xD memory cards, all in a dark brushed aluminum shell, which closes securely and opens with the touch of a button. The Precision Design USB 2.0 SD / microSD Card Reader transfers photos and videos from your SD, SDHC, microSD or microSDHC memory card to your computer quickly and easily. If you have any questions about this product by Power 2000, contact us by completing and submitting the form below. If you are looking for a specif part number, please include it with your message.